The Toronto Raptors visit the Philadelphia 76ers in Tuesday in a clash of two of the best teams in the Eastern Conference. The Raptors are coming off a 121-103 win against the Clippers last Sunday. Kawhi Leonard had 18 points and Serge Ibaka scored 16 points and grabbed 12 rebounds. It was his sixth straight double-double (the longest streak by any Raptors player since Chris Bosh had eight in November 2009). Kyle Lowry didn’t play due to a back injury. C.J. Miles and Pascal Siakam stepped up with 15 points apiece and Delon Wright added 14. Lowry’s status against the 76ers is questionable. That means that the Raptors will need Miles, Siakam and Wright to have big games once again. Fred VanVleet, who started in Lowry’s place against the Clippers, had nine points, seven assists, five rebounds and three steals in 26 minutes. He can also make a difference. Their incredible depth has helped the Raptors go 8-4 without Lowry and 11-3 without Leonard this season. 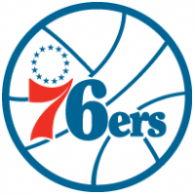 They also have an impressive 16-11 road record, The 76ers are 21-5 at home, so this will be a great challenge for them. The 76ers open a four-game home-stand after suffering a 115-108 road loss against the Kings last Saturday. J.J. Redick (rest) and Wilson Chandler (quad) didn’t play in Sacramento and Chandler will be out for at least two weeks. Joel Embiid finished with 29 points and 17 rebounds but he was just 9-for-24 from the field. Jimmy Butler also had 29 points (18 in the fourth quarter) and he converted two four-point plays. He added seven assists, four rebounds and playing outstanding defense. Ben Simmons also played well, by adding 22 points, eight rebounds and four assists but poor shooting doomed the 76ers. They made just 7 of 33 3-point shots while getting out-rebounded 50-46. Both teams love to play at a fast pace. They rank eighth in the NBA in offensive efficiency and three of their last four meetings have gone Over the total.